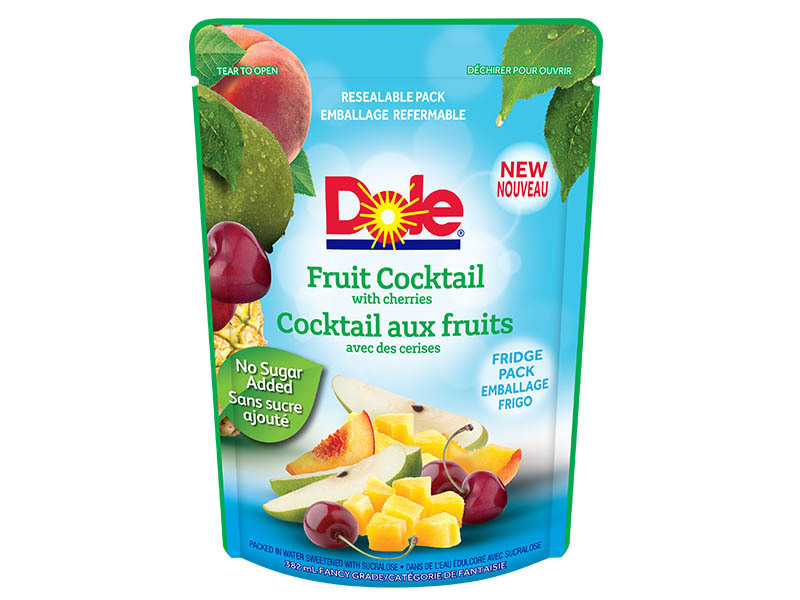 Introducing DOLE® Resealable Fruit Pouches. 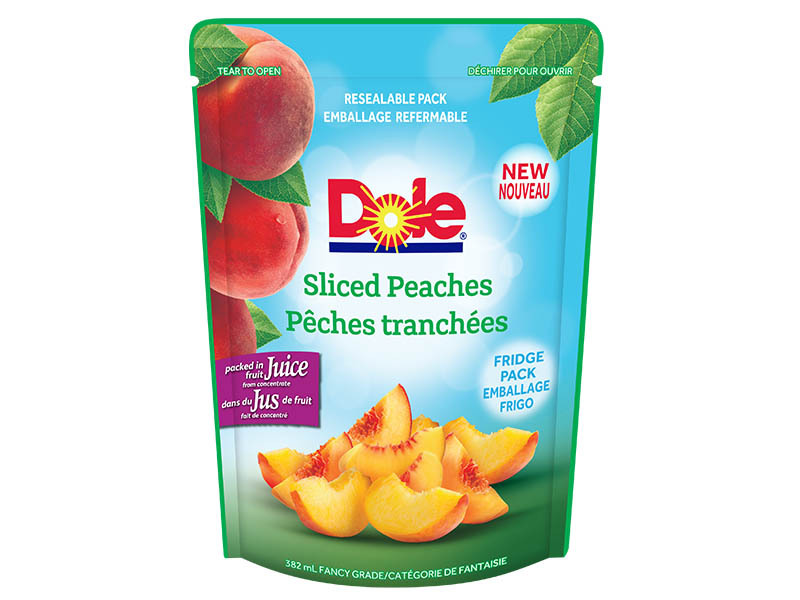 Available in great flavours packed in fruit juice or water, DOLE Resealable Fruit Pouches are a quick and easy way to enjoy great tasting fruit. Made with materials free of BPA our pouches stand tall and proud in your fridge! 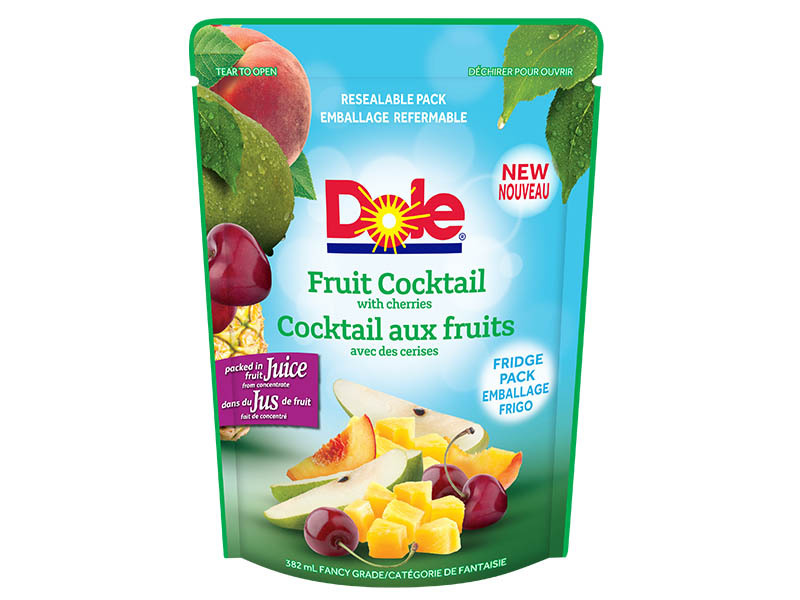 Available packed in fruit juice: Fruit Cocktail with Cherries, Mandarin Oranges, Sliced Peaches, Sliced Pears, and TROPICAL GOLD® Pineapple Chunks. Fruit Cocktail with Cherries and Sliced Peaches also available packed in water. Use the same way you'd use fresh fruit! 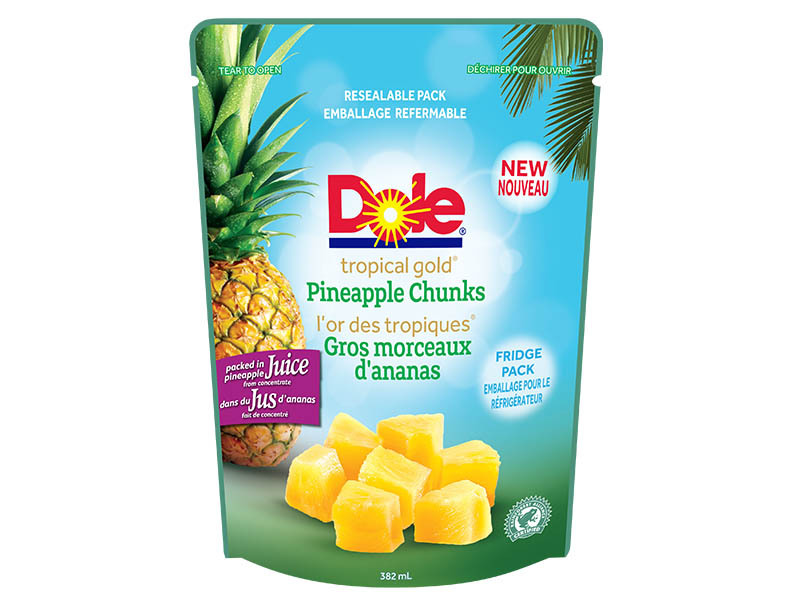 Great on top of cereals, in desserts or enjoyed out of the pouch with a fork for when you're craving delicious fruit! Store in a cool, dry place. Once opened,, keep resealable pouch in the fridge. Resealable pouch stands upright, perfect for shelves and doors!